West Bengal Joint Entrance Examination Board has released the seat matrix for the counselling. Seat Matrix is the number of seats available for the students who are willing to peruse their future in the field of Technology in West Bengal. As the conducting Body, WBJEEB this is the list of Institute Wise Seat Information. And as the WBJEEB is the main path via which one will get elected to best colleges of the West Bengal so there is a lot of things going on with students. They are getting ready for the Counselling. So here we are with the List of WBJEE Counselling Reporting Centres (RCs) 2018 via which candidates can get help in admissions this year. WBJEE Counselling WBJEE Counselling Reporting Centres (RCs) 2018 is given below. 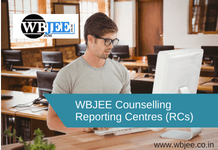 WBJEE Counselling Reporting Centres (RCs) List of West Bengal. Station. Near Beliaghata Main Road through Dr.
Station via W.B. State Electricity Distribution Company Ltd.
Darjeeling University of North Bengal Raja Rammohanpur, P.O. North Bengal University, Dist.